HA NOI — Young women who leave their hometowns to work in big cities face many difficulties. Their turbulent lives are reflected in a new TV series entitled Nhung Co Gai Trong Thanh Pho (Girls in the City). 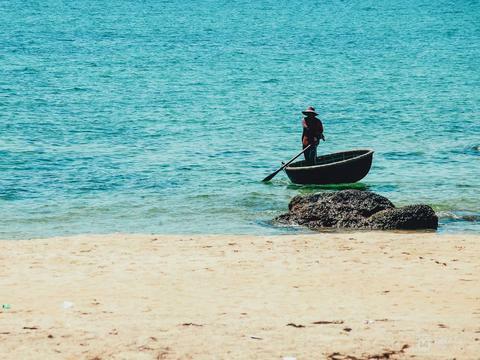 The series is being produced by the Viet Nam Feature Film Centre (Viet Nam Television) and directed by Excellent Artist Vu Truong Khoa, who also made the television blockbuster Song Chung Voi Me Chong (Living with Mother-in-law) in 2017. The 34-episode show will be broadcast on VTV3 on Wednesdays and Thursdays, starting from December 19. The film tells about the lives of four young women: Mai, Lan, Cuc and Truc. They come from different regions of the country but meet each other in Ha Noi and rent a shared house together. Each one has different problems of family, work and love. At first, they work at a factory and suffer pressure from their employer and colleagues. Next, they try to find different jobs and find the process difficult. The four different stories promise to bring audiences different emotions, but they all fight to preserve their humanity. That is the message the series wants to send. “The film honours humanity, sincere friendship, strong will and people’s desire for happiness,” said Khoa.